Knit N Purl is woolly fun! 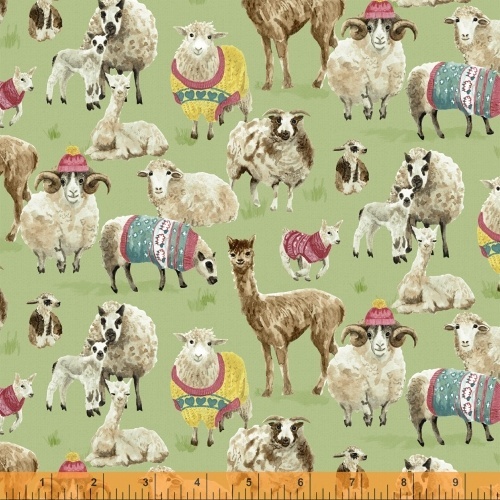 Llamas, sheep, lambs and rams wearing cheerful knit sweaters and hats mingle in the focal print. Balls of brightly colored yarn and a braided woven texture are all you need to create a unique wall hanging, pillow or quilt.